The Mass Games to return in 2019! Exciting news! 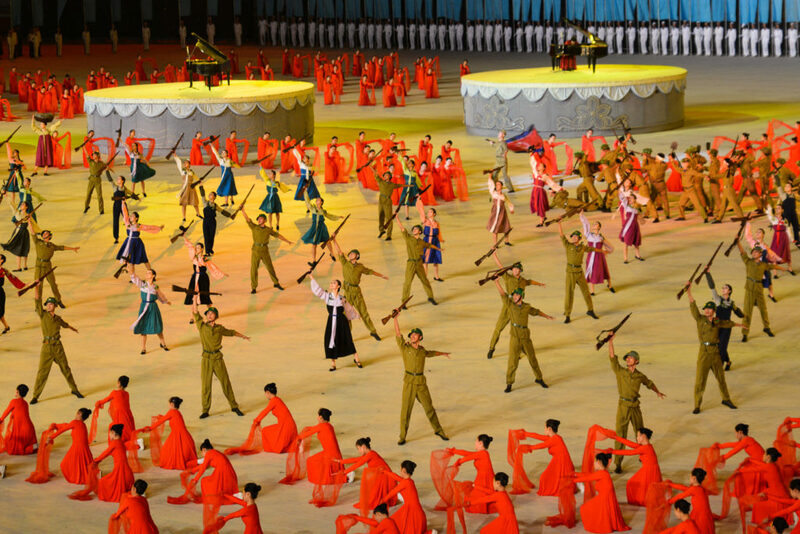 The Mass Games, one of North Korea’s most extravagant events, is expected to return in 2019! 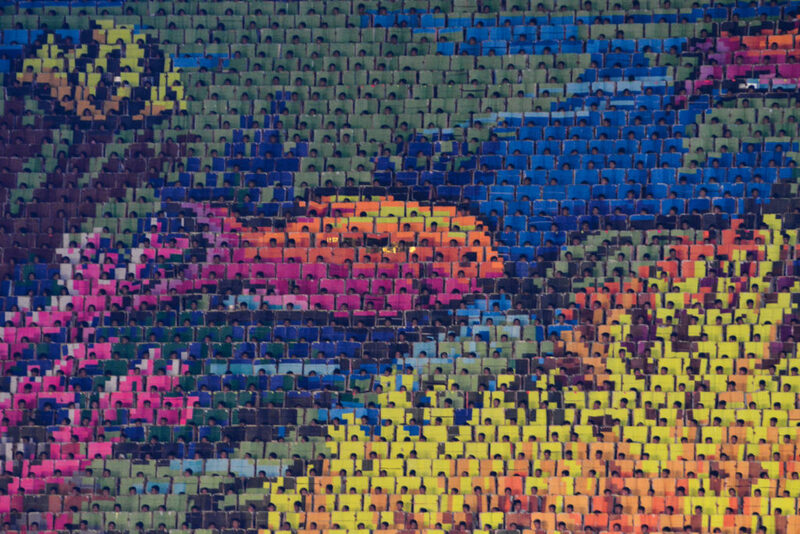 For the uninitiated, the Mass Games is a massive production involving up to 100,000 people performing in unison through dance and gymnastics to pay homage to North Korea’s culture, history and ideals through flip picture cards in one massive, ever-changing mural. It’s an event unlike any other in the world. 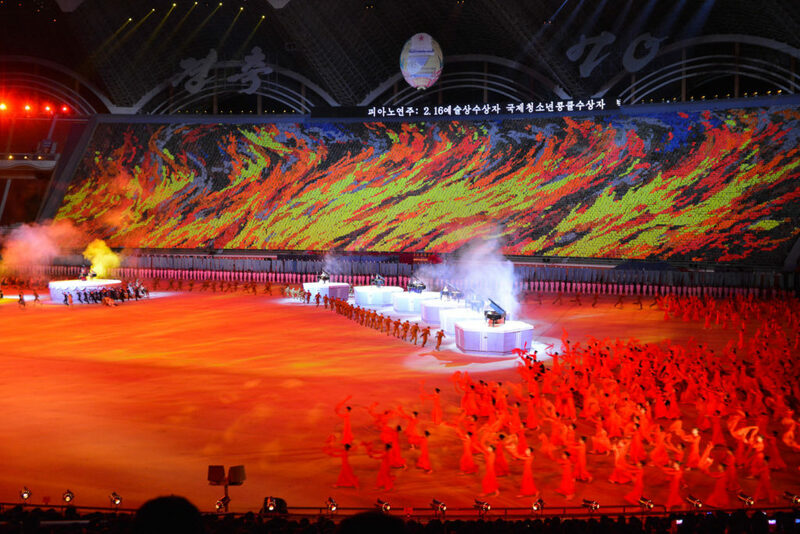 What was previously known as the ‘Arirang Mass Games’, the event ran annually for many years and even made it into the Guinness World Records as the biggest of its kind. 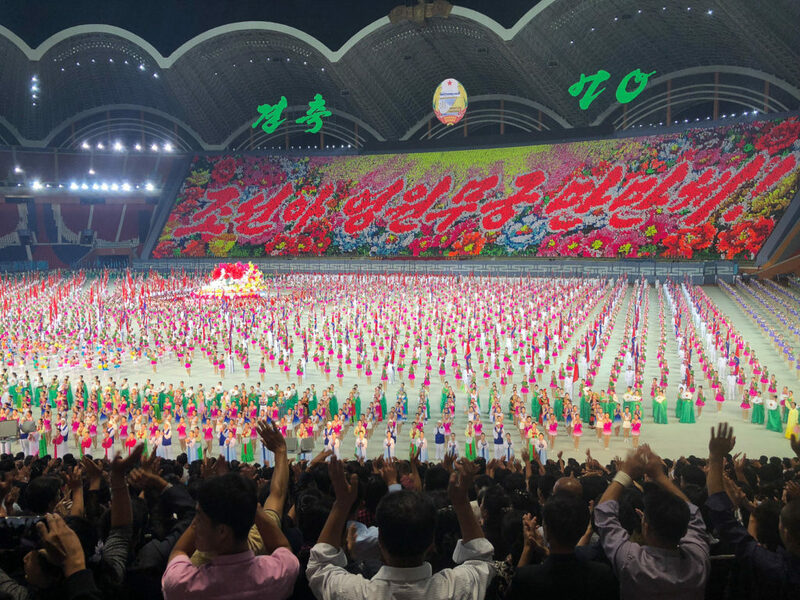 It then took a five-year hiatus after 2013 only to make a triumphant return in 2018 for the 70th Anniversary of North Korea’s founding under a new moniker ‘The Glorious Country’, much to the acclaim of thousands of attendees. 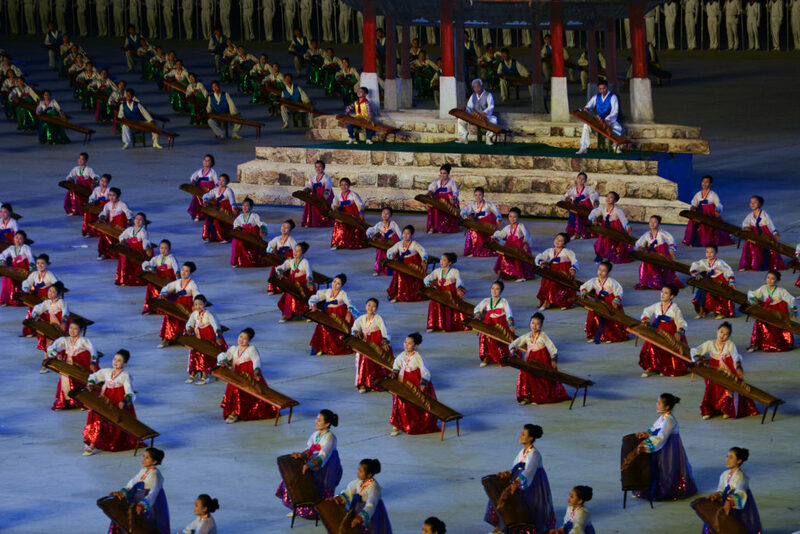 The performance was so popular in 2018 it was extended multiple times to accommodate demand. 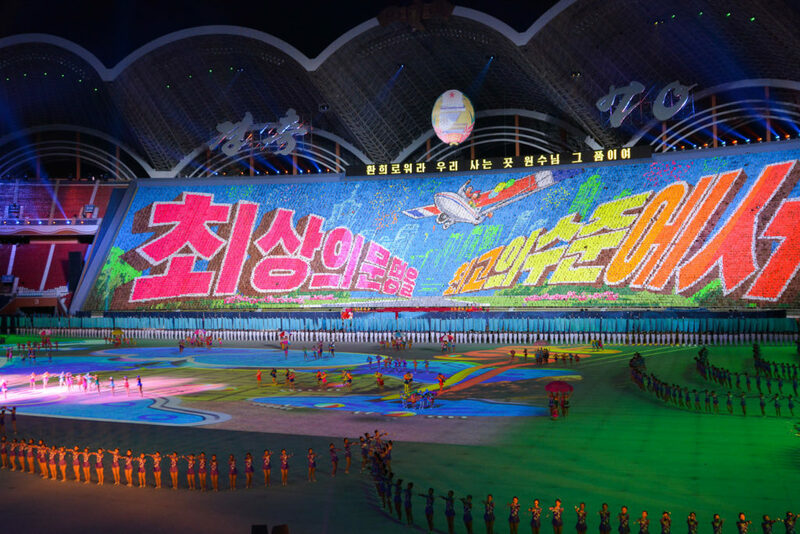 The Mass Games always offers something new, and a highlight of 2018’s rendition was the inclusion of brightly lit drones choreographed together to form phrases or images in the sky above Pyongyang’s May Day Stadium. 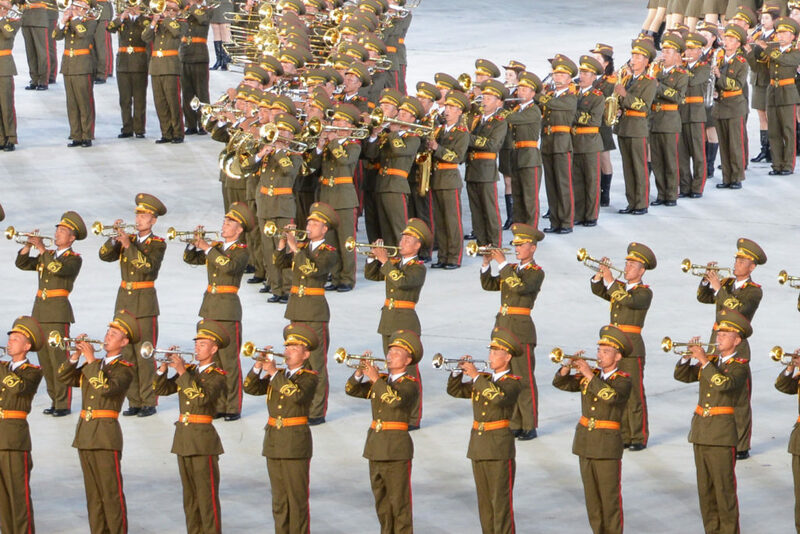 The performance itself focused on themes such as economic development, peace, solidarity and multilateral diplomacy rather than military might or space programs, and told the story of important events in the country’s history. 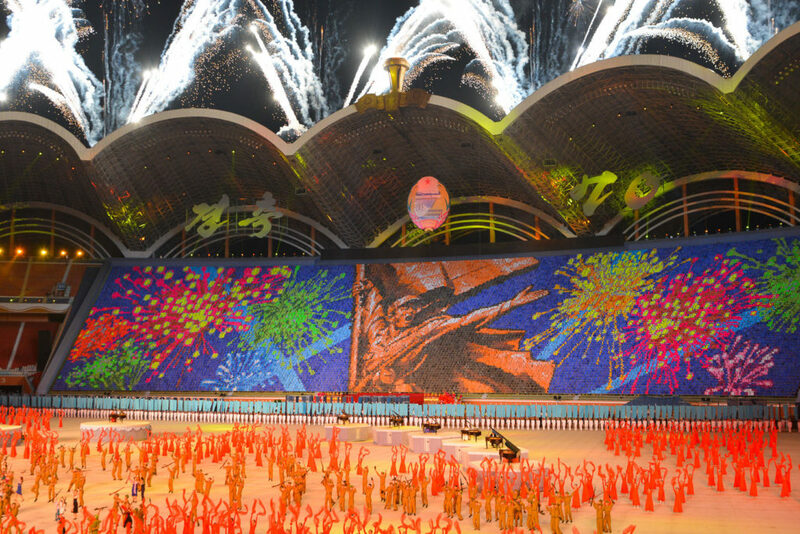 So what will 2019’s Mass Games bring? We don’t know yet. The name and exact dates are not yet 100% confirmed, but regular showings are expected throughout September. If it’s anything like previous years, an extended run into October is likely. As information rolls in, we’ll be updating this blog post, so watch this space! All of our group tours which are expected to include the Mass Games (at this stage) can be found below. 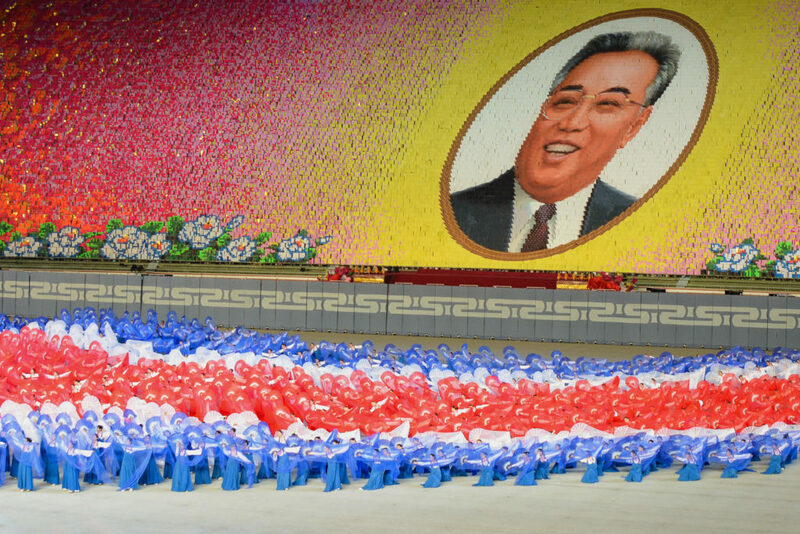 We can also arrange a private, independent tour over anticipated dates of the spectacle. Interest is certain to be high during this period, and we strongly recommend an early booking to avoid disappointment, as logistics into the country will be booked out well in advance. We’ll leave you with some photos and a video montage of 2018 below to get inspired! Contact us at [email protected] for further information and to secure a seat on one of our tours! Be the first to leave a comment for The Mass Games to return in 2019!